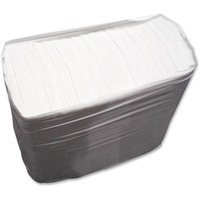 GCN 16 fold Tall Paper Napkins GNRLHCOVE $41.59 Part of the Lighthouse Series, these 16 fold paper napkins are used for tall fold napkin dispensers. They are great for restaurant and other high volume areas. Larger size offers more wiping area compared to traditional 18 fold napkins.